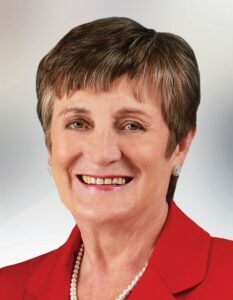 Madeline was first elected to office in 1999 and has much experience in local politics; her father Andy O’Brien represented the people of Cavan before her. Madeline is married to Terry and they have four children. She is deeply committed to improving access facilities for the disabled and is also a supporter of many local charities such as the CSPCA. Education and access to education are high on Madeline’’s agenda; she is currently dedicated to improving the educational facilities which are available to the people of Cavan. She is presently focused on transforming the recently purchased Army Barracks into a VEC centre in order to give the largest amount of people locally easy access to ongoing and further education. Madeline also has a huge interest in promoting local arts and also been involved in the writing of the book ‘’100 Years of Camogie’ ’ which discusses the central role this particular sport has played in Cavan over the period of the last century. A hardworking, dedicated and well-informed local woman she takes great pride in her role as a public representative for the people of Cavan.